The most versatile high-performance Rifle in the world! Improvise. Adapt. Overcome. With its lightweight mobility and highly versatile adaptability, the Barrett® MRAD® was designed to do just that. Ready to follow your every move, the MRAD adapts to a variety of user needs without sacrificing performance. Its user-changeable barrel system is just one example of this hardworking gun's modularity. The precision grade barrel can be removed by simply loosening two bolts using a standard Torx wrench. 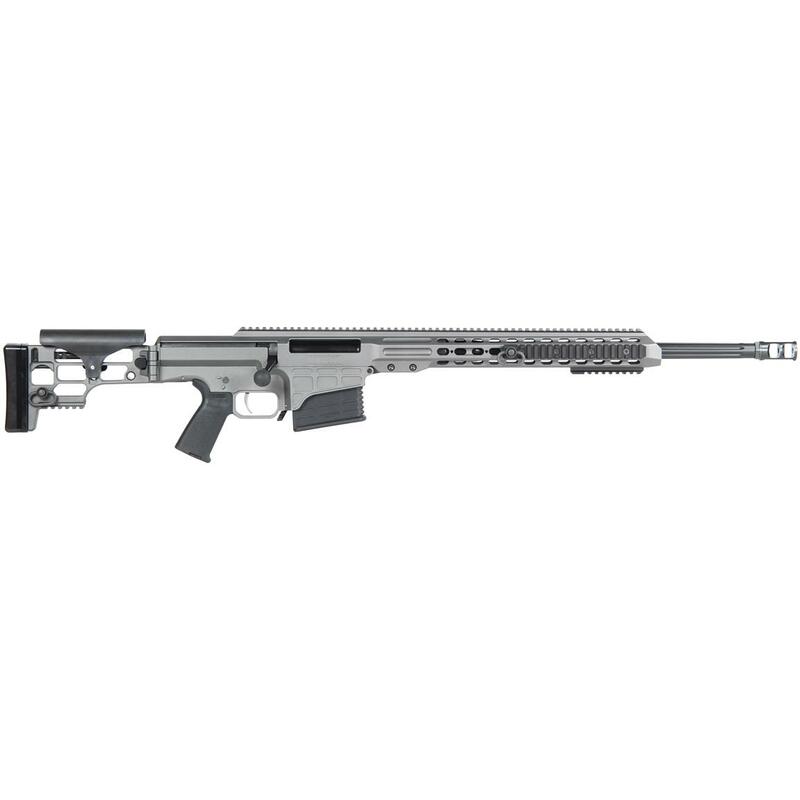 The MRAD also boasts Barrett's fully adjustable match-grade trigger module, which is user accessible. The thumb-operated safety can be configured for left or right-hand operation. The ambidextrous magazine release can be used intuitively while retaining a firing grip and cheek weld. Accuracy and punch of a bolt-action. Versatility, custom fit and accuracy in this Mossberg Tactical Rifle. Accuracy moves to a whole new level! Accuracy at a whole new level.